As part of “Giving Tuesday” I am kicking off my “4th Annual CHEMO CARE TOTES” Campaign. When I began my journey with Thirty One in 2011, I wanted to make a difference. Actually, I have been making difference all of my life – from collecting funds for MD as a child to working in soup kitchens and food pantries to bringing a smile to those who are struggling. I want to share my spiritual gifts of “helps and encouragement” so others know someone cares when they are struggling. Wanted to let you know I have handed out all of the beautiful bags you had donated for women battling breast cancer. Each person loved the bag and it put a smile on their face to know someone was kind and providing a sense of support as they started their chemotherapy treatments. Thank you again for supporting our patients. Yes, I cried the first time!… Now, I get goosebumps every time I read it. Cancer has touched each of us in some way – a friend, a family member, a sister, a mother, a father, a child, and the list goes on. This project is near and dear to my heart. It is a tribute to my family who fought a good fight against this dreaded disease and lost: Edythe (kidney cancer), Elsie (breast cancer), Pop-pop (lung cancer) and my dad (prostrate cancer). I spent many hours in the Oncology Units with Elsie and Edythe as they underwent chemo treatments. I held their hand when they struggled with the insertion of the needles. I was there when they were sick from the chemo and sat by their bedside when they were too weak to go out. As a friend said #cancersucks. It takes many from us long before their time. It ravages families. It leaves children parentless. It has parents burying children. With my own health struggles, I have spent many hours in the infusion units of local hospitals. I am blessed to only have to be there a short time – time for blood work and special testing. The many women I have seen are not there for a one time visit, they are there for weeks of painful treatments. They smile and carry on conversations while encouraging each other. My heart breaks and the tears come each time I leave the unit for I know what their struggles are like. Your gift/ sponsorship of $25 will pay for the bag. I will use 100% of my commission to fill them with a variety of things like a blanket/scarf, notepad, pen, bottle of water, lotion, warm socks, chap stick and crossword puzzle book. Donations will again be delivered to the local Cancer Care Center at Southern Ocean Medical Center to bring a smile to the face of those who are fighting this dreadful disease. 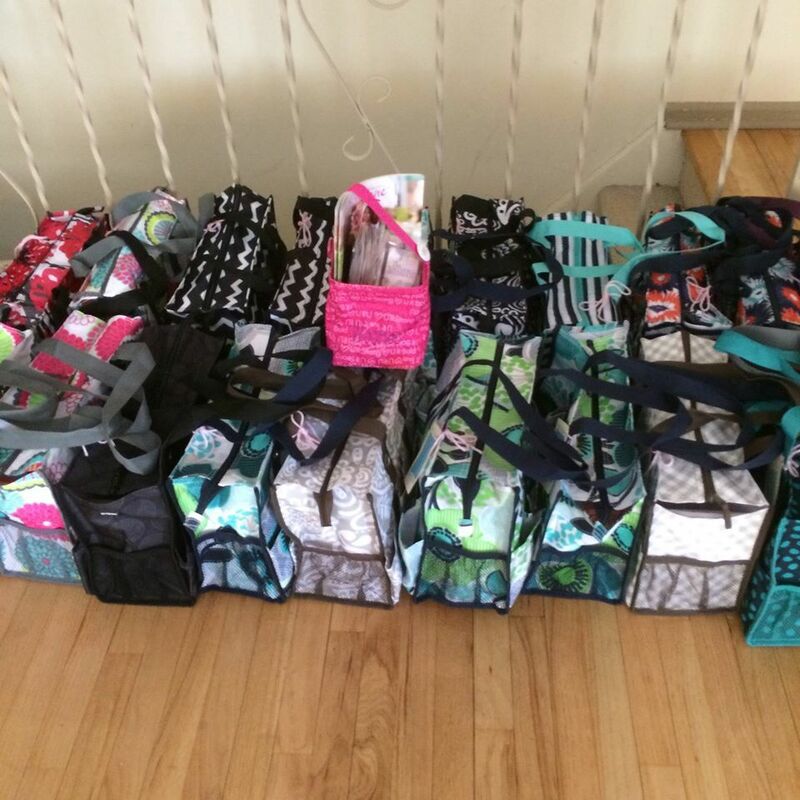 Last year, we delivered 31 bags BUT this year, my goal is 50. I know it is a HUGE jump but I am confident we are up for the challenge. Yes, I know it is the holiday season. Yes, I know money is tight. STOP for a moment and think how you would feel if someone handed you an unexpected gift – no strings attached – when you were feeling your lowest. Let the love of this holiday season shine through with your help. For $25 you can bring a smile to someone who is fighting the cancer battle. You can sponsor a bag in memory of someone, in honor of someone or just anonymously. Payments can be made via check, credit card or through Paypal at hopesgiftcloset@comcast.net as a friend/family. If you see me at a vendor event, I will be happy to accept your donation. Won’t you help us to make a difference today? 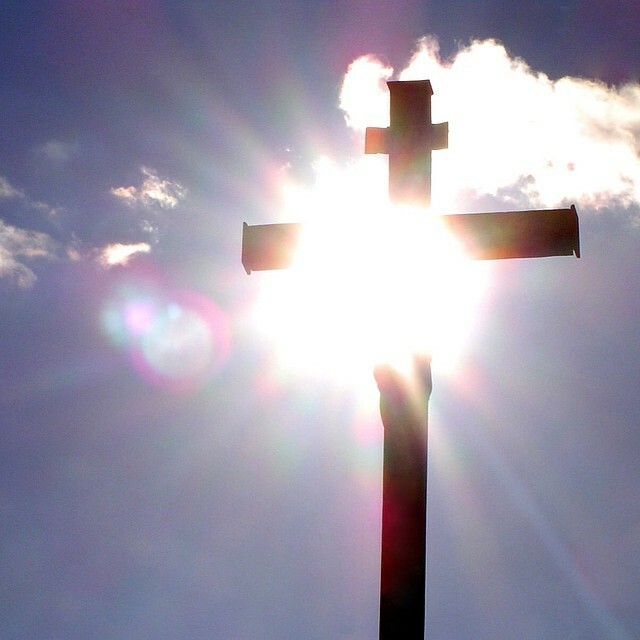 On this day, let’s remember the true meaning of Easter as we visit with family and friends. Treasure the moments for the days go by quickly, loved ones are gone and kids grow up. This day holds so many mixed feelings for me….. Growing up going to my grandparents while my parents and aunts went to sunrise service on the beach. Then home to get ready for church. Totally new outfits to wear to church. Sometimes even a trip to the Boardwalk for the Easter Parade in Asbury Park. Then back to my grandparents for a traditional Easter dinner with the whole family. Easter baskets overflowing with candy from the “Carmel Shop” and “Old Monmouth”. Happy memories of my childhood. Fast forward (many years) to having my own home with my daughter, Belinda. Easter took on a different meaning. As an infant, I had lost touch with God, feeling like I didn’t deserve his unconditional love. Easter was still about dinner with family but gone were the traditions of church and the Easter parade. When I entered recovery, things changed ever so slightly – now I was entering into a relationship with God but still did not have a church. As Belinda got a little older, we did Easter baskets but they were filled with toys and games because she didn’t like chocolate. I know can you believe it! She did like white chocolate but only in small amounts. And of course “stale” marshmallow peeps. It was a treasure hunt to find the basket with clues left in Easter eggs throughout the house. I can still remember the squeals of excitement as she found the basket. I even remember making her Easter outfits and heading to Atlantic City for the traditional Easter parade. Dinners were a little smaller but family was still together. My relationship with God has grown and I am grateful he loved me enough to sacrifice his son for my sins. Today, I will head to church then hubby and I will head to Atlantic City to have brunch with mom and my step dad. I miss those traditional family holidays (those I remember) but am learning to create new memories with each passing day. Who Will I Have to Become? Last week, Thirty One announced their 2019 Leadership Incentive Trip – Maui! Yup, Hawaii and a whole year to earn it! For me, this is a HUGE goal I really want to accomplish. I’ve never been to Hawaii and it is on my bucket list PLUS this is a spot hubby and I talked about going some time. I had to laugh when they announced it because it brought back a memory of when Edythe and Elsie (my aunts) wanted to take my grandparents to Hawaii. My grandfather’s response “If I can’t drive and take the camper, I’m not going”. Okay, so I squirreled for a minute…. Do you have a dream you can’t stop thinking about – a dream you wholeheartedly want and sometimes even wonder how you can possibly achieve it? Maybe it is to have your own business. Or be debt free. Or quit your job and travel. Whatever it is, it is actually possible if you set the groundwork to accomplish it…. There is a powerful question which can help you. When I heard it, it hit me like a 2×4 because I knew there are habits and thinking patterns I would need to change in order to get to my vision. Who would you have to become in order to accomplish your biggest goal? When challenges arise, we either have a fixed mindset or a growth mindset. A fixed mindset believes your talents and intelligence are set. A growth mindset believes where you are today is just the beginning, and you have far more capacity for growth and learning than you realize. Which one do you have? When was the last time you said “I’m just not good at ________ (fill in the blank)”? The problem with thinking like this is there are challenges which require you to stretch to places which feel uncomfortable to achieve the desired goal. When you feel like you aren’t good at something, do you put forth a little bit more effort than you have in the past or do you just give up? With age, comes greater expectations, especially what we expect from ourselves and as a result some things may not come as easy, but it doesn’t mean you can’t do it. You might have to change your approach and your mindset. You may have to become a person who puts forth more effort when things are more difficult. When we come up against a challenge, we must sometimes accept there are things which worked in the past which won’t work now. OUCH! We can’t keep doing the same things and expect different results. What got you to this point, won’t necessarily get you to the next point. Who will you have to become in order to accomplish the goal you really want to accomplish? And are you willing to do it? That’s really the ultimate question. Here are some things to think about as you are working on the person you will need to become…..
What’s the shift you have to make? What steps would you have to put in place? What would you have to change in your environment? Who might you have to change in your environment? These are all choices you get to make. Believe it or not, if you make them and remain consistent, you will become the kind of person who can accomplish ANY goal you truly want. I challenge you to be willing to stretch in an area where you previously limited yourself. I want to you to allow yourself to become the kind of person who can accomplish your biggest goal. Share you BIG goal with us. When I began my journey with Thirty One in 2011, my goal was to make a difference. My spiritual gifts as “helps and encouragement” so I want to continue to do just that! Today is the kickoff of my “3rd Annual CHEMO CARES TOTES” Campaign. Yes, I cried!… Now, I get goosebumps every time I read this. Cancer has touched each of us in someone way – a friend, a family member, a sister, a mother, a father, a child, and the list goes on. This project is near and dear to my heart. It is a tribute to my family who fought a good fight against this dreaded disease and lost: Edythe (kidney cancer), Elsie (breast cancer), Pop-pop (lung cancer) and the most recent angel, my dad (prostrate cancer). I spent many hours in the Oncology Units with Elsie and Edythe as they underwent chemo treatments. I held their hand when they struggled with the insertion of the needles in their pic line. I was there when they were sick from the chemo and sat by their bedside when they were too weak to go out. As a friend said #cancersucks. It takes many from us long before their time. It ravages families. It leaves children parentless. It has parents burying children way to soon. Recently due to my own health struggles, I have spent many hours in the infusion units of the local hospitals. I am blessed to only have to be there a short time – time for blood work and special testing. The many women I have seen are not there for a one time visit, they are there for weeks of painful treatments. They smile and carry on conversations while encouraging each other. My heart breaks and the tears come each time I leave the unit for I know what their struggles are like. Your gift/ sponsorship of $25 will pay for the bag and I will use 100% of my commission to fill them with a variety of things like a blanket/scarf, notepad, pen, bottle of water, lotion, warm socks, chap stick and crossword puzzle book. Donations will again be delivered to the local Cancer Care Center to bring a smile to the face of those who are fighting this dreadful disease. Last year, we delivered 31 bags to Southern Ocean Medical Center. This year, my goal is again 31 BUT I would love to make it 50. I know it is a HUGE jump but I am confident we are up for the challenge. So, who is with me? For $25 you can bring a smile to someone who is fighting the cancer battle.